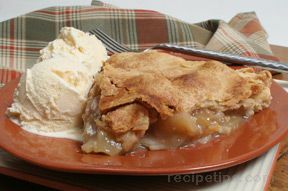 This pie has the flaky crust of grandma's pie with the oatmeal topping of an apple crisp. Serve it up warm with a scoop of vanilla ice cream. Line a 9-inch pie plate with pastry. Flute edges and set aside. In a large bowl, combine the apples, butter, sour cream, lemon juice, sugar, flour, cinnamon and nutmeg. Spoon into pastry shell. For the topping, combine sugar, flour and oatmeal in a small bowl. 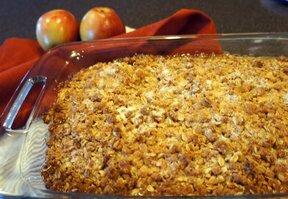 Cut in butter until mixture resembles coarse crumbs. Sprinkle over filling. 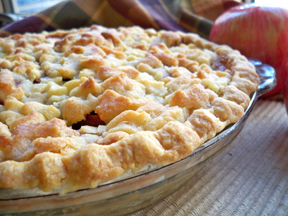 Bake for 45-50 minutes or until the filling is bubbly and the apples are tender. Cool on a wire rack.